"Great reporting solution for quicker and easier resolution"
It indicates full technique name and its related class name in the mistake and is appeared inside a gathering. This gathering encourages me in settling all the comparative blunders without a moment's delay and look at the information for that specific case. It is a magnificent bug announcing device which helps in discovering bugs and mistakes in my application with complete stack follow subtleties to discover where precisely the blunder happened. It has some fabulous highlights like separating blunders utilizing variant number and date, constant notices through messages, contacting the influenced clients, and consistently gathering the mistakes to spare the time. It has visit room support too to send notices to other colleagues with respect to the issues. Its UI dashboard is really great and all highlights are accessible at a focal area. The security of the client remains an issue here as the area spot highlight is there in the application and some of the time I have seen some unrecognized and odd mistake messages which is a major issue. Check every one of the plans accessible before purchasing, they offer less cost for yearly membership. Since its combination is extremely basic and requires only two or three stages, I would unquestionably prescribe it to other people. I have been utilizing it to discover the issues in my application and programming's with the goal that I can get a thought where the clients are confronting issues while utilizing the application. In this manner it influences my product to turn out to be progressively dependable for the clients step by step. Additionally, it gives me a typical stage to logging and finding the mistakes effectively. Checking application conduct continuously. Its extremely simple to see, how any client is using the application, what highlights or exercises are utilized most, what amount is the heap time, and point by point crash reports. "Excellent error reporting tool to resolve bugs quickly"
It is a wonderful bug reporting tool which helps in finding out bugs and errors in my app with complete stack trace details to find out where exactly the error occurred. It shows full method name and its associated class name in the error and is shown within a group. This grouping helps me in resolving all the similar errors at once and examine the data for that particular instance. It has the capability to get integrated with major frameworks and programming languages like .NET, Python, Node.js and Ruby from a single account. From its dashboard, I can view how the error rates have been moving over time and I can get to know if the new version of my app is more stable than the previous one or not. It is not useful if you are experiencing more than 100 errors as the dashboard would not be much useful for debugging so many issues and the error logging will get stopped. Surely it meets my needs and requirements. But since it has a free trial period for 30 days, one can try it and experience the features themselves. The best part is that I can customize which Emails are sent to me for notification about the errors and have full control on my mailbox as I don’t want to get flooded with emails notifying me even about the small bugs which are not really important to be resolved at that moment. It also has an option to leave comments on individual errors so that other team members are aware about the status of that error and are auto-update about the progress on the error. The dashboard has various filters to keep the errors filtered through time span, error groups, active errors, resolved errors and more. "Superb crash reporting app with advanced features"
I like Raygun because it can be easily integrated in my development environment by using a few lines of code so that I can prioritize my issues and resolve the errors quickly. It supports multiple platforms such as Android, Windows and iOS along with support for various programming languages such as Java and Python. It has some fantastic features like filtering errors using version number & date, real time notifications through emails, reaching out to the affected users, and logically grouping the errors to save the time. It has chat room support as well to send notifications to other team mates regarding the issues. Its UI dashboard is pretty good and all features are available at a central location. While grouping the errors together, I can see that many errors are repeated and makes it look like the number of errors are much high. This creates confusion sometimes and also the price is on the higher side for me at 149$. It is worth using if you are facing issues with crashes or bugs in your app. Its excellent features provides deep insight about the bugs instantly when they occur. After implementing Raygun in my project, I am able to track down most of the bugs within 1 or 2 hours and the reports present in the dashboard makes it convenient for me to resolve the issues quickly. Thus, it makes my app more reliable and accurate than it was before when I was using to have log files in text format to track down the errors. "Excellent tool for error reporting and finding bugs"
What I really like about Raygun is that it shows me every single trace about the error which has occurred. I can easily figure out where the crash has happened as full function name along with class name can be seen. Its user tracking feature shows me the exact and actual logs of which users got affected by the errors and for how long. I can even filter the errors using date, version, tags, host names and other fields for easy analysis about the crashes. Also, the website is pretty simple to use with all the functionalities separated from each other in the GUI for clear reference to the user and doesn’t lag anywhere. Since it provides the trial period for 30 days only, the billing factor comes after that and for a project having low cost it is not feasible to buy the package for the developers. Also, the privacy of the user remains a problem here as the location spot feature is there in the app and sometimes I have seen some unrecognized and weird error messages which is a big problem. Since its integration is very simple and requires just a couple of steps, I would surely recommend it to others. I have been using it to find out the problems in my app and software’s so that I can get an idea where the users are facing issues while using the app. Thus it makes my software become more reliable for the users day by day. Also, it provides me a common platform for logging and tracking down the errors easily. "Resolve crashes and performance issues in real-time!!" The software itself has lot of good features, its hard to point out to a single one. I really liked the colors and all the charts used to express the data which encourages you to look for the problem. Its a very smooth experience with Raygun. Pulse is very useful feature in figuring out how your app is behaving on different user devices. It has great user interface. The price for the product is quite high($149/m - micro plan), Its not recommended for small startups with are trying to grow their presence in the market rather useful for well established companies who wants to improve their quality of services. Check all the plans available before buying, they offer very less price for annual subscription. Monitoring app behaviour in real time. Its very easy to see, how any user is utilising the app, what features or activities are used most, how much is the load time, and very detailed crash reports. "Great service to use for crash reporting." On the dashboard, I am able to see where users are crashing within my application, which currently resides on the Windows Phone. I can get detailed analytics of what users are saying are the main problems when my application crashes and I can then build on and terminate the bugs which cause my application to crash. I don't dislike anything about this product. It is easy to integrate with my app, and the dashboard looks clean and easy to use, I can easily see the crash reports which the app has undergone to make it a better product overall. I would recommend this to anyone looking for a cheap and easy way to crash reporting. I was using an overpriced, bare-bones solution before this; it didn't have half the features RayGun has. I am saving a lot of money of which I can develop into the development of my app. I am also able to add new features as I don't have to guess about bugs that are within my application and can get instant user feedback if needed. "Very good error monitoring tool but can't be the only one"
I like the UI simplicity and easy configuration. It just need to add the library and some configuration and is already working and logging errors in the tool. I like the emails too. It arrives very fast and in the right amount, not so many per error and not so few. It does not show all errors and is not deep enough to be the only monitoring tool for my systems. I don't know how to make some errors to appear in tool and I don't know too how to make some bussiness errors to not appear without having to manually ignore then on site. Improve .NET ability to catch errors and maybe add some other features. I'm trying to be warned when my system is crashing. It resolved part of my problem, but not all errors are notified. It is a good tool but it does not makes me cancel all my others tools to use it only. "I've found Raygun easy to use and would recommend for crash reporting analytics"
Raygun provides a complete overview of problems across your entire workload. Logical grouping of errors lets you prioritize issues. In addition, with only a few lines of code, you can integrate Raygun into your development environment in minutes. Raygun automatically detects, discovers and diagnoses errors and crashes that are happening in your software applications, notifying you of issues that are affecting your end users....which is great if it is accurate. A few inconsistencies have been noted but overall appear to have been fixed. 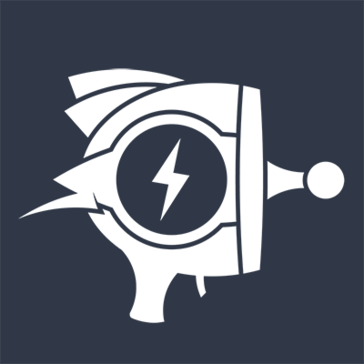 Raygun is a powerful new crash reporting service for your applications and worth a try to help improve your software's performance. Pinpointing problems within the software and allowing users to tell exactly where to look,. This has allowed for a more reliable software service to users. "Best tool for reporting errors and crashes"
It covers more than 20 programming languages ranging from HTML, CSS, C#, PHP and more. All the errors are shown on my dashboard along with all the details which lets me look into my log files and debug the error at the earliest. I don’t understand why they have kept Pulse and Crash reporting as two different tools. They can combine them together for removing the inconsistencies. It has reduced the dependency on the log files which had lots of data in it and it was nearly impossible to get to the root cause of the crash within a short duration of time. This little guy has saved my *** so many times I can't even count. It catches when our users run into errors, sometimes even before they do. Notifications via email and slack integration, this thing is a dream. I can send custom data with the error reports, as much as I like, and can even merge errors that may be reported differently across different browsers. Natively digests users for you, and filtering by version is a great feature too. The error reporting mechanism is a little clunky, can send weird error names and messages if just barely misconfigured. Also I haven't been able to find where to filter by tag. That'd be a big help. Readreadread the docs. you'll need them. Crash reporting, specifically. I need to know when our app breaks, and this tells me. I like best the site graphics and the easy use of it, you can check the reports instantly and easily, this is the best thing that a site like that need. I like the menu too, simple but impressive, the designers team is so good. The domain quality is good, no lags and fast charge of the pages. I don't like the Trail system, you can redeem a 30 days trial without a credit card security. With it some users can redeem the trial more times, Raygun need to add a credit card security check. Raygun need to improve the login system too, this is so basic and vulnerable, need to add a chapta. If you need to check the bugs this is a nice site that you can use without lag and fast, the domain is high quality and the pages charges fast. I can track and report so much bugs with my apps, nice thing is the real time graphics with the reports and users. In my business this site can help so much the program developing without bugs, this is a nice site that the programmers can use. I like the simplicity of the website, there is many features that helps so much the user and the staffers. Simplicity and Essential is the best pack for a nice website. So much site band for no lags, high quality domain. Actually I think this is the best site if you need to report or track the crash of your mobile apps. I don't like so much the recent request, this feature does not give so much privacy to the user, Raygun Crash Reporting need to improve that feature, for example they can add the private request mode. I don't like the location spot too, this site need to improve the privacy of the users. If you need to track or report your crash this is the best site you can use. Nice design and nice site. Finally I can report all the crash on my mobile and the developers of the apps can fix it. This site can solve so much problems and bugs that appens to the apps. I can report the bus easily, in my job this is the important think that I need to know, the bugs and the crash, you need to know this is you are a program developer. "Slow web UI, but usefulness is unmatched"
My favourite part of Raygun definitely has to be how you can look at it and just understand everything going on, usually I'd be creeping through manuals checking how to do things, where things are, etc, but with Raygun I just get it and I think this is important due to the fact the tool is meant to aid you, not hinder you. After just a day of using Raygun we were able to squash 3 pretty huge bugs that we didn't even know were present, our logging handler didn't pick them up but somehow Raygun did and we're amazingly grateful for it. Initially I was somewhat skeptical of Raygun due to the fact that it simply looked so nice, I couldn't help but notice the landing page loaded very slowly regardless of what I tried and how few errors I had, though once it had loaded everything was blazingly fast. Use the free trial, within seconds you'll be able to decide whether Raygun is for you or not. We maintain a network of approximately 30 application servers when everything is online which are divided up across 3 small dedicated servers. When a bug occurred we would be notified that the server had pulled a runner, but because of how our deployment system worked the log for the old build would be purged before we could find out what happened. Raygun reports the errors and we can see them immediately - no changes to our deployment system and no reliance on users to report bugs for us. "We used RayGun to log errors, crashes,etc and bubble those up to a dashboard"
The UI is easy to use and navigate. Their api is dead simple and works in any programming language or platform. If you need to log a lot of errors or debug stuff it can be problematic. If you hit your limit for errors they may stop logging. Also once you hit a certain scale or errors the UI becomes less useful for sorting through them. We were trying to get a common logging UI. Previously we'd have logs stashed in different servers or log files and would spend a lot of time tracking down info on errors. Honestly I can't think of anything about the product I don't like. We're able to immediately get notified of important errors by email and through an integration into Slack, plus add detail to Trello cards when desired. All of this means faster diagnostics and bug fixing. Easy to use api, clean dashboard features. Errors have excellent details about what happen on what line and where in your system. At first errors are difficult to understand. Sometimes raygun isn't necessary to report on 404 errors, or try to evaluate json found in documents while developing. Enabling application insight during the runtime execution of my microservices. It enabled me to better understand errors and gave me the ability to test against those errors and increase system reliability. "Easy insights from customer-facing errors"
I am solving the problem of tech support before a customer even asks. We have lots of students who don't speak up when they have issues, this lets us address them so they dont have to. The ability to get Raygun in a project in minutes and start seeing a return right away. All the separate notifications. I could do without the notification to my email and slack. It gets to be a little much. More in-depth error reporting. Raygun makes it easy to view errors even in a production environment. "This is MUCH better that what we used before"
"The best crash tracking for your apps"
Simple but powerful crash reporting that works across every platform. It could handle live/staging apps better. We have a number of apps over a few different platforms. iOS, Android, Ruby, PHP, Node and React. We needed a tool to monitor our performance across all platforms. "The easy way for crashing reports"
I like the easy way to setup and integrante the crash reports to your digital actives. You can sea money no just with your crash monitoring. You can save with the tool buy. I dona want the interface and the documentation on the website. Some features confused me. The contact support can be better and accessible. It is one option if you consider you dona have a lot of error or are eventually. Saw what problems and errors are affecting all of our users and costumers. "Dramatically improved our cadence of bug fixing"
We can see immediately if we've pushed a bad version to test with line numbers where it's going wrong; we also can track occurences of Heisenbugs which only occur for one-in-a-thousand users. The grouping of repeated errors and exploring of errors within a filtered subset could be improved. We're a unit and project management tool designed specifically for the needs of the K12 classroom. We are able to put continuing downward pressure on our bug count. I gets very expensive very quickly, compared to competitors. Having a single crash reporting solution for Client and Server is very valuable. "A good compromise for a full complete platform"
I like the way how they create a total necessary application with different option, all in 1 ! They are really fast ! * We monitor all Raygun reviews to prevent fraudulent reviews and keep review quality high. We do not post reviews by company employees or direct competitors. Validated reviews require the user to submit a screenshot of the product containing their user ID, in order to verify a user is an actual user of the product. Hi there! 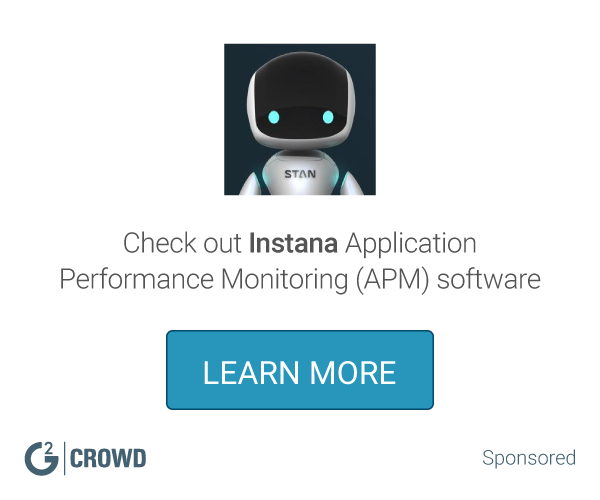 Are you looking to implement a solution like Raygun?